The Veterans Health Administration (VHA) has a long history of addressing social determinants of health, including housing. In 2012, the VA integrated a two-question Homelessness Screening Clinical Reminder (HSCR) into the electronic medical record in outpatient clinics to identify Veterans experiencing housing instability and ensure referral to appropriate services. This study explores perspectives of VA clinical providers regarding administration of the HSCR, their role in addressing housing status, and how a patient’s housing status impacts clinical decision-making. We conducted a qualitative study using in-depth semi-structured interviewing. Twenty-two providers were interviewed (20 physicians and two nurse practitioners) between March and September 2016. Interviews were conducted with Veterans Health Administration (VHA) physician and non-physician practitioners who had administered the HSCR and documented at least five positive screens between 2013 and 2015. Our interview guide investigated provider experiences with administering the HSCR and addressing affirmative responses. The guide also elicited details about how patients’ housing instability was identified (if at all) prior to implementation of the screening reminder, and how practices changed following implementation of the HSCR. Transcripts were analyzed using a modified grounded theory approach. Providers reported that the HSCR prompted them to incorporate patient housing status into routine assessment, which they typically did not do prior to its implementation. Providers discussed adverse impacts of housing instability on patients’ overall health and described how they factored patients’ housing instability into clinical decision-making. Although providers viewed the health system as having an important role in addressing housing concerns, there were mixed opinions on whether it was the role of providers to directly administer the screening. Integration of a screener for housing instability into the electronic medical record increased provider attention to housing instability into the social history, and positive responses commonly impacted plans of care. 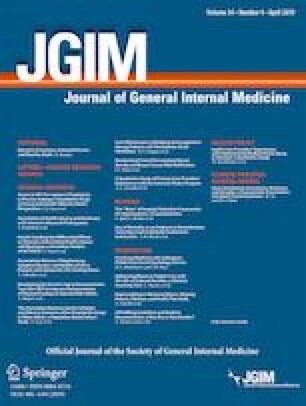 A modified form of this manuscript was presented at the 2017 Society of General Internal Medicine National Meeting in Washington, DC, as a poster presentation. This work was supported by the US Department of Veterans Affairs, Health Services Research and Development under Grant IIR-13-334 (Montgomery). The study was conducted at the Corporal Michael J. Crescenz VA Medical Center (CMCVAMC) in Philadelphia, PA, or an associated community-based outpatient clinic (CBOC), and was approved by the CMCVAMC Institutional Review Board. The views expressed here do not necessarily reflect those of the Department of Veterans Affairs or the United States Government. Charmaz K. Constructing Grounded Theory: A Practical Guide through Qualitative Analysis. Vol 10.; 2006. doi: https://doi.org/10.1016/j.lisr.2007.11.003. USPSTF A and B Recommendations. U.S. Preventive Services Task Force. https://www.uspreventiveservicestaskforce.org/Page/Name/uspstf-a-and-b-recommendations/. Accessed August 12, 2017.